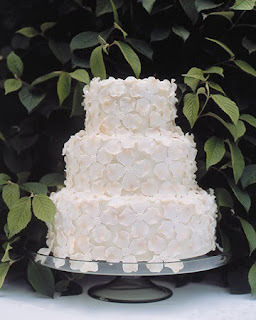 The beloved dogwood is a lovely accent for a spring wedding and symbolizes love undiminished by adversity. 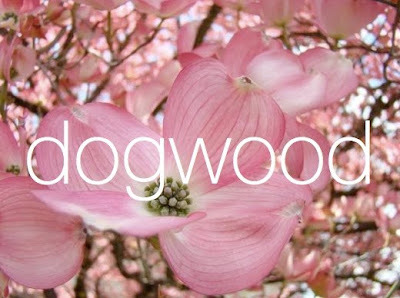 The dogwood is also the subject of old Christian legends, and both the state tree and flower of Virginia. There are popular dogwood festivals and celebrations around the country in late April to May—from Paducah, Kentucky to Fairfield, Connecticut. From invitation to cake, we love the dogwood as a wedding motif. 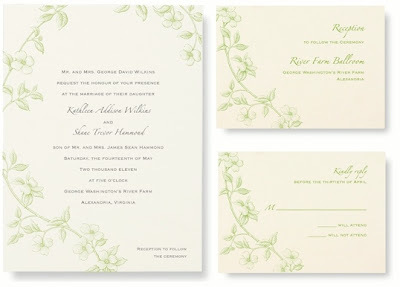 Our Letterpress Dogwood Branch Wedding Invitations feature a letterpress branch printed in fern green ink on ecru cards with matching ecru envelopes. Also available in matching Reply and Reception Cards.